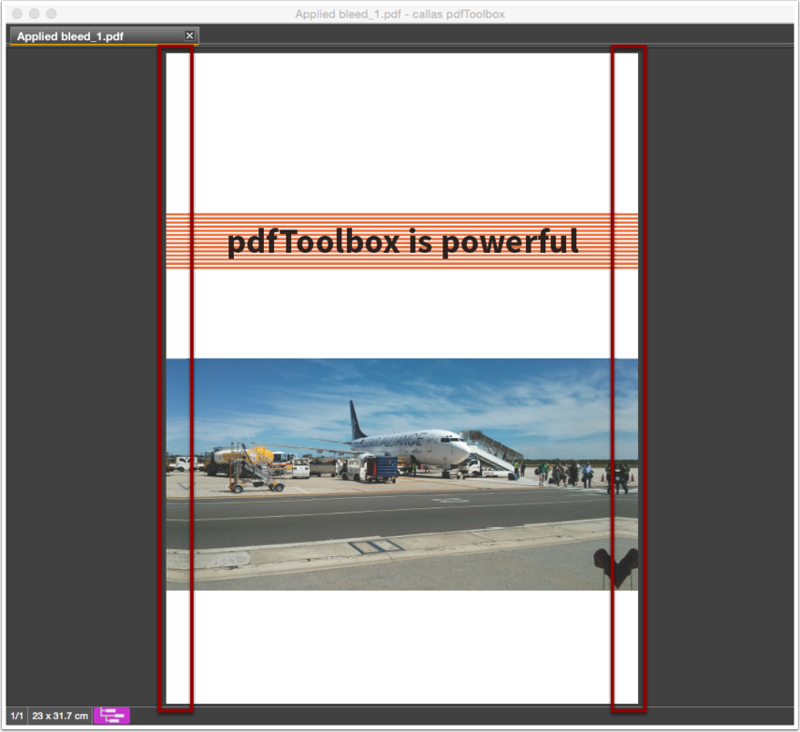 In pdfToolbox 8.3 you are able to create bleed in CMYK + spot color (If the input file has spot colors) or Grayscale. 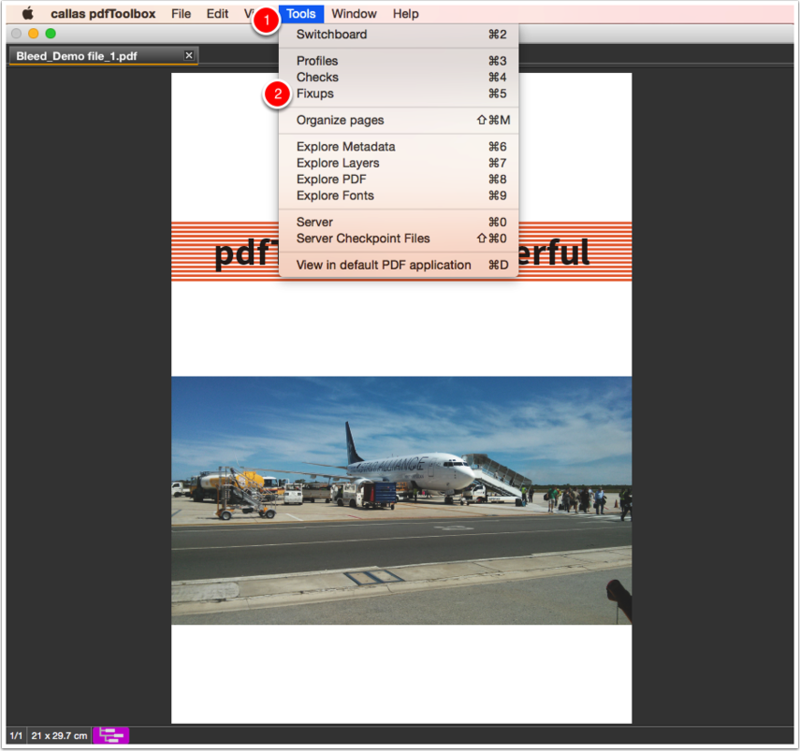 With the previous version 8.2 you could only create bleed with sRGB, CMYK or when the PDF has an OutputIntent. This tutorial shows how to generate bleed from the spot color "HKS 10 N". For bleed generation the spot color "HKS 10 N" will be used. Open the PDF file "Bleed_Demo file_1.pdf"
Click "Open" to launch the file load dialog box and navigate to the folder where the input PDF file "Bleed_Demo file_1" is located. Click on the Fixup action button. 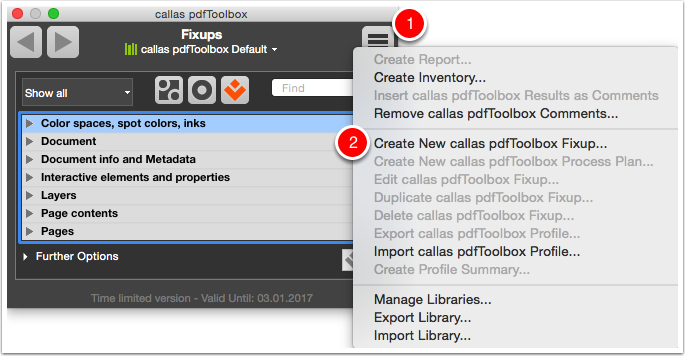 Click "Create New callas pdfToolbox Fixup". In the search field search to "Generate bleed from page content". 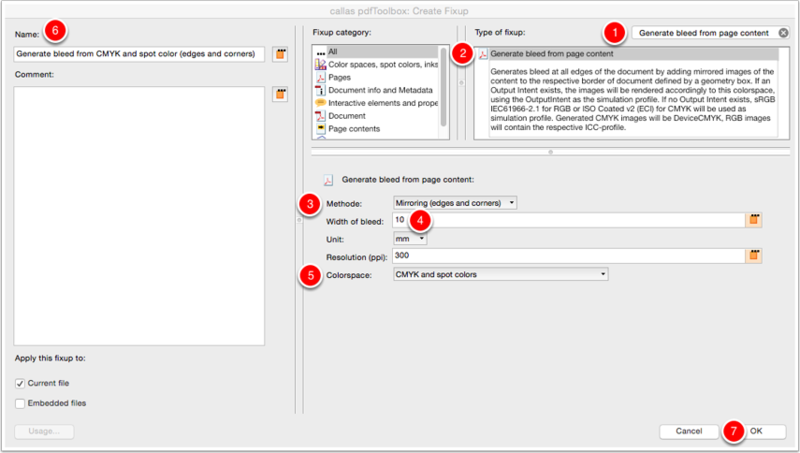 Select the Fixup "Generate bleed from page content". 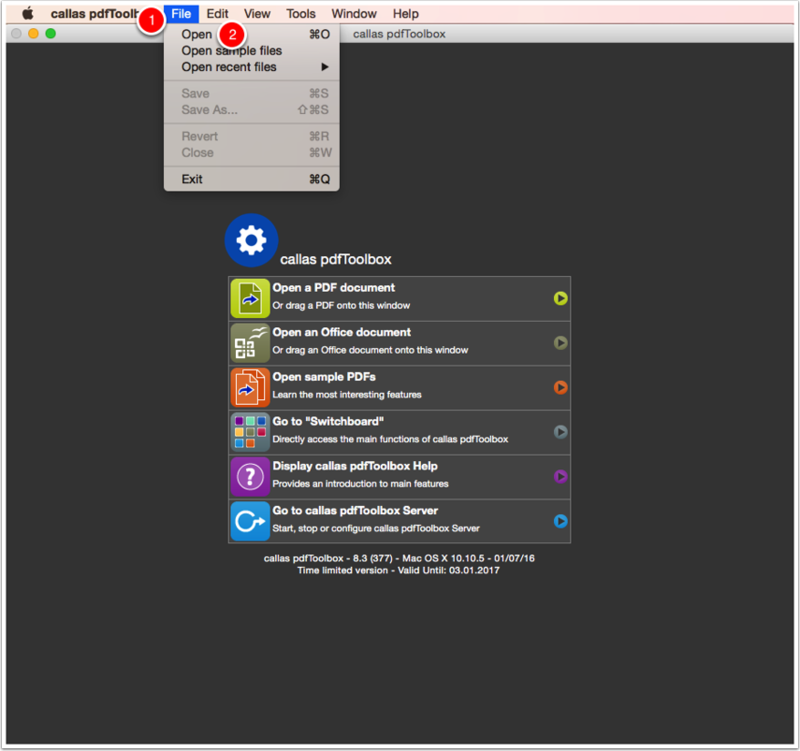 In the "Methode" drop down list select "Mirroring (edges and corners)". Change the "Width of bleed" to "10". In the "Colorspace" drop down list select "CMYK and spot colors". Change the Fixup name to "Generate bleed from CMYK and spot color (edges and corners)". 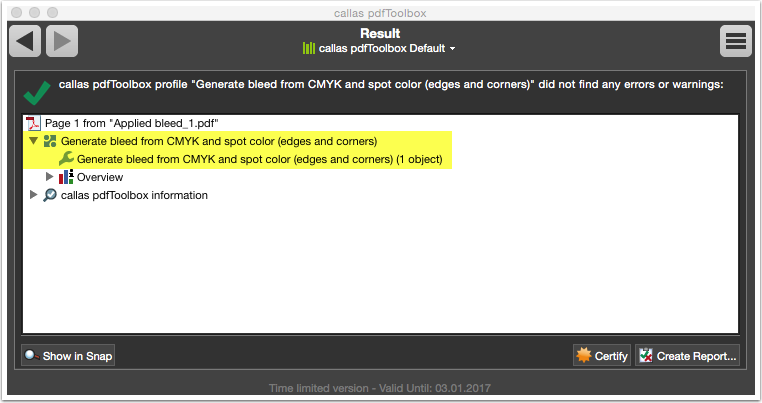 The setting "CMYK and spot colors" has only been available from pdfToolbox 8.3. In the search field search to "Generate bleed from CMYK and spot color (edges and corners)". Select the Fixup "Generate bleed from CMYK and spot color (edges and corners)". 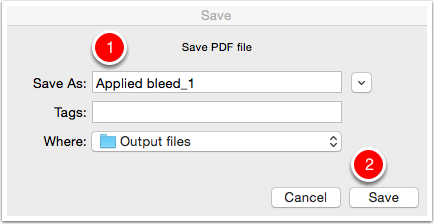 Save the PDF file as "Applied bleed_1". 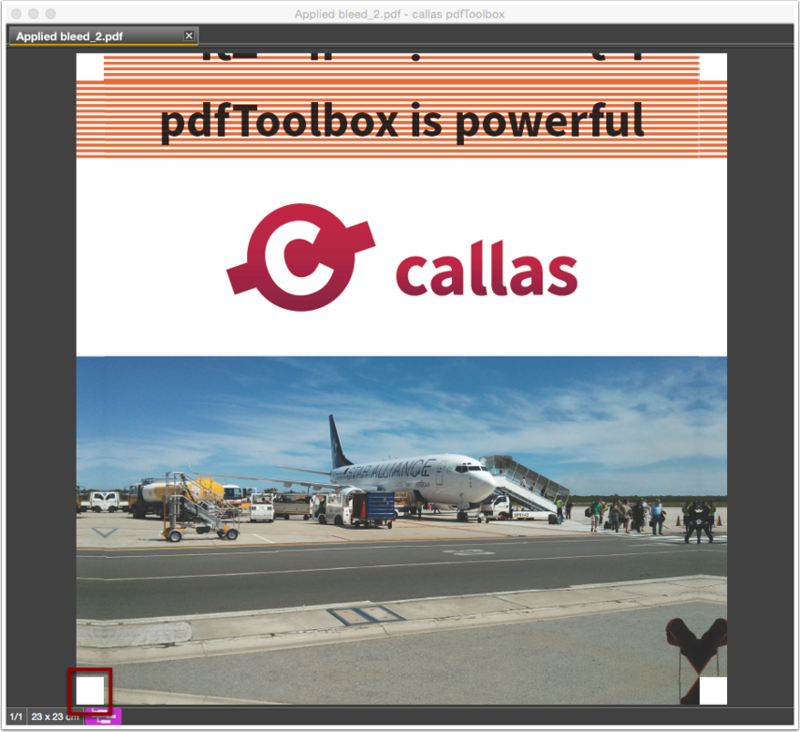 A green tick shows, the PDF file is successful preflighted. 10 mm bleed is added. 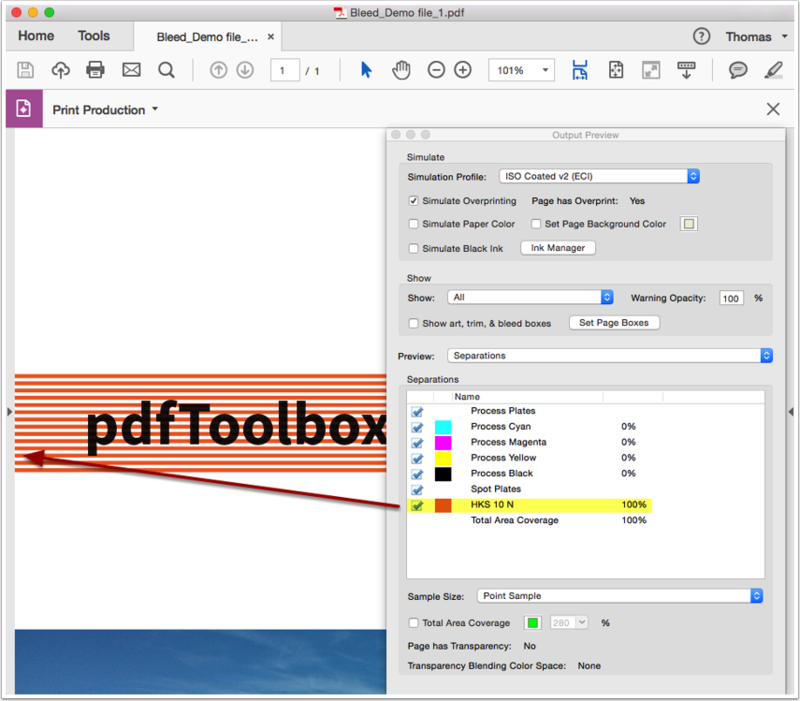 The extra 10 mm bleed is generated from the spot color "HKS 10 N" from the page edge. The CMYK value is from the image. The spot color "HKS 10 N" from the page edge. 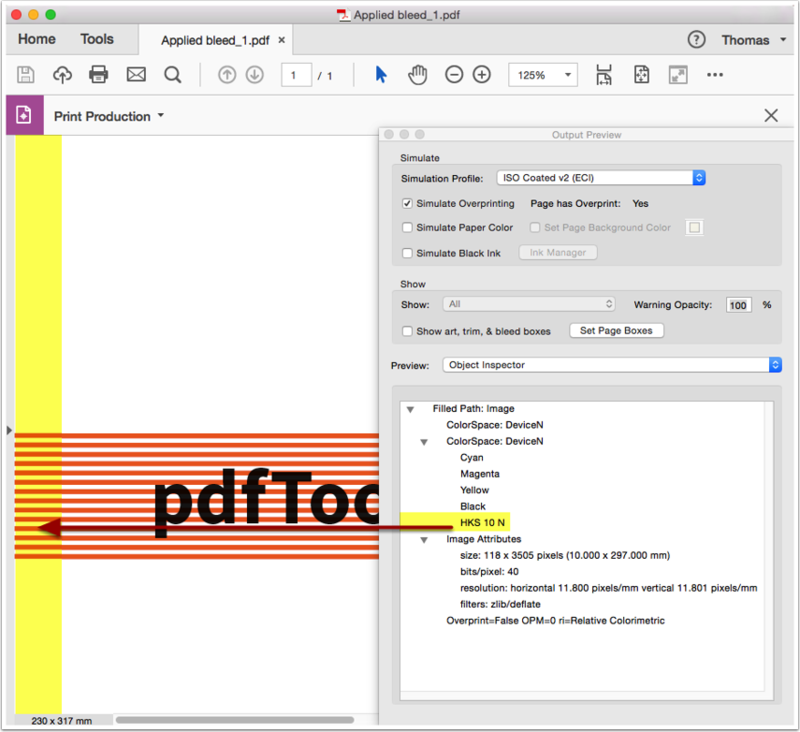 Analyze the processed PDF file after applying Fixup "Generate bleed from CMYK and spot color (edges)"
In the Fixup "Generate bleed from page content", you have the second bleed methode "Mirroring (edges)". Duplicate the created Fixup "Generate bleed from CMYK and spot color (edges and corners)" and change the bleed "Methode" to "Mirroring (edges)". In the attachment the modified Fixup "Generate bleed from CMYK and spot color (edges)". 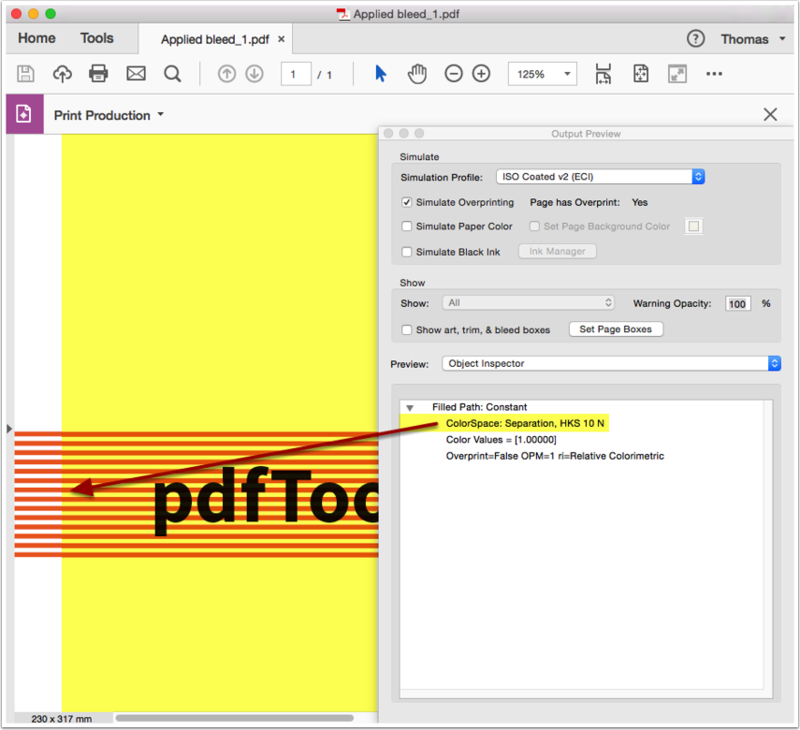 When applying that Fixup on the PDF file "Bleed_Demo file_2.pdf", you will have no bleed in the corners of the processed PDF file.